If you are looking for a supplier of high quality tea and coffee for your office, restaurant, hotel or institution look no further. We offer coffee beans, ground coffee, espresso, tea bags boxed or in bulk plus a wide assortment of related supplies at wholesale prices. Arabica and Robusta are by far the most dominant varieties of coffee worldwide. Of course there are dozens of distinct varietals such as Kona (cultivated primarily in Hawaii and revered for its powerful aroma) and Java (produced on the island of Java). The ground coffee sold to consumers is typically a 70-30 blend of Arabica and Robusta. Other distinctions when referring to coffee is based on where the coffee beans were grown, their quality grade and a variety of factors related to taste characteristics, including the roasting process. For example, Kenya AA Black is coffee grown in Kenya. The coffee beans are of a minimum diameter (the AA designation) and the roast is very dark (Italian). There are over 50 countries that grow and export coffee beans. It's no surprise that Brazil produces more coffee than any other country in the world. What may be surprising is that Vietnam is it's closest competitor and Columbia is ranked only third. 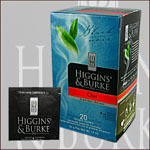 The popular Higgins & Burke teas from Mother Parker use the best quality handpicked teas from leading regions around the world to produce the finest quality teas. Their top sellers include Green Tea, Ooolong, Black, White, Red, Chamomile, Earl Grey and Morning Breakfast. 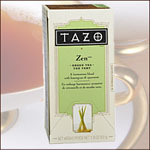 Another great brand is Tazo teas. They start with the best botanicals and teas and fuse them with exotic ingredients to create a truly distinct and flavorful experience. They include Awake, Refresh, China Green, Passion, Zen, Earl Grey and Chai flavors. Contact us to inquire about our wholesale coffee and tea prices. Ask us about our wholesale coffee prices on coffee beans, ground coffee, pre-portioned sachets and espresso. the best quality for the best price? Contact us today to see what we can offer. to try before you purchase.